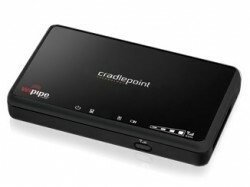 CradlePoint extends the reach of mobile broadband for business. The CradlePoint Compact Broadband Router CBR450 with no WiFi provides advanced support for distributed operations and emerging industries that require flexible, reliable, and secure Internet access such as temporary Internet installations; kiosks, digital signage, and other Machine-to-Machine (M2M) applications; and networks that require a secondary Internet source for additional bandwidth or backup. The CBR450 is a feature-rich business router in a small package. Built for secure applications that require absolutely no WiFi broadcast, such as for PCI or HIPAA compliance, you can rely on CradlePoint’s advanced networking features like WiPipe Security, VPN Termination, and Failover/Failback (which protects your network in case the primary data service fails) to keep your business online.